In this remastered episode of The Wine Vault, we return back to Season 1 for an early episode that highlights Dry Creek Vineyard's Heritage Vines Zinfandel. Further, the movie Silence of the Lambs is discussed within no context that involves wine, but instead from the dark minds of Rob and The Superstar. 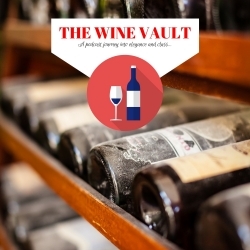 So enjoy this classically inappropriate episode of The Wine Vault.